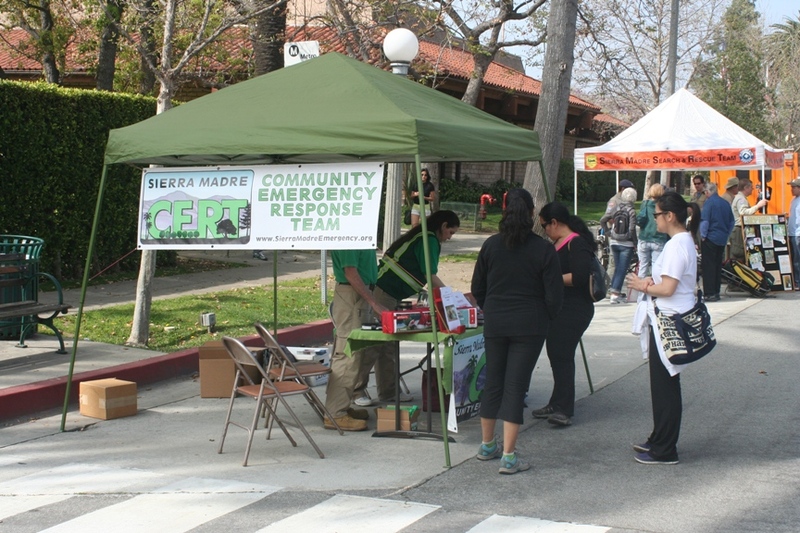 The Sierra Madre Emergency Organizations website is provided as a free service to the citizens of Sierra Madre by the Sierra Madre Community Emergency Response Team (CERT). This is a central place for communication between citizens and the various emergency services organizations located within the city and neighboring areas. Free CERT Training in Sierra Madre! Learn from the experts how you can take care of your family and neighbors during an earthquake or other emergency. Instructors will teach residents how to prepare and respond in the event of a major disaster. This is a great training program open to all residents... Don't Miss Out! 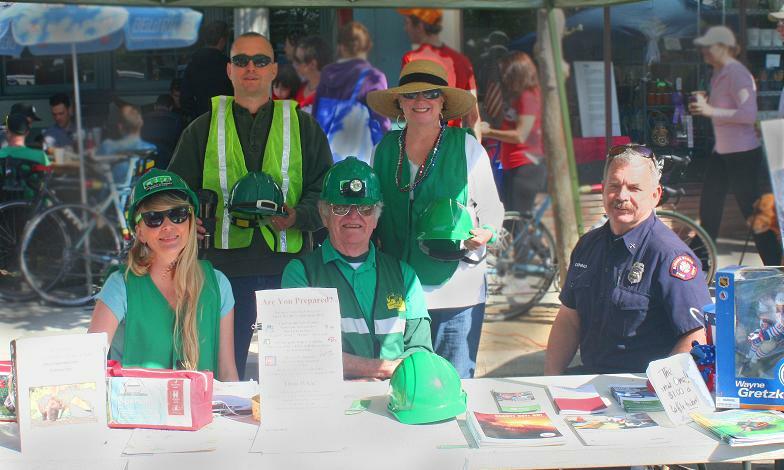 Here's Daniel, Pat and De staffing the CERT table at yesterday's Sierra Madre Fire Prevention Festival. Community Emergency Response Team Receives Public Safety Award! Sierra Madre CERT was the proud recipient of the Public Safety Award at the Sierra Madre Honors Dinner Thursday night. Thanks to all the hard working CERT members who made this possible. This is a family event with potluck. Bring a salads or desserts. One on our goals is to help educate the citizens of Sierra Madre for disaster preparation, management and recovery. This website is to be a resource for information which will help Sierra Madre residents prepare for, survive during, and recover from a disaster. You are invited to become a CERT member and go through the free training process which will equip you to help in the event of an emergency. It is important to remember that in a large-scale disaster that it could be days before help arrives. The primary goal of CERT is to have trained individuals spread throughout the city at all times. 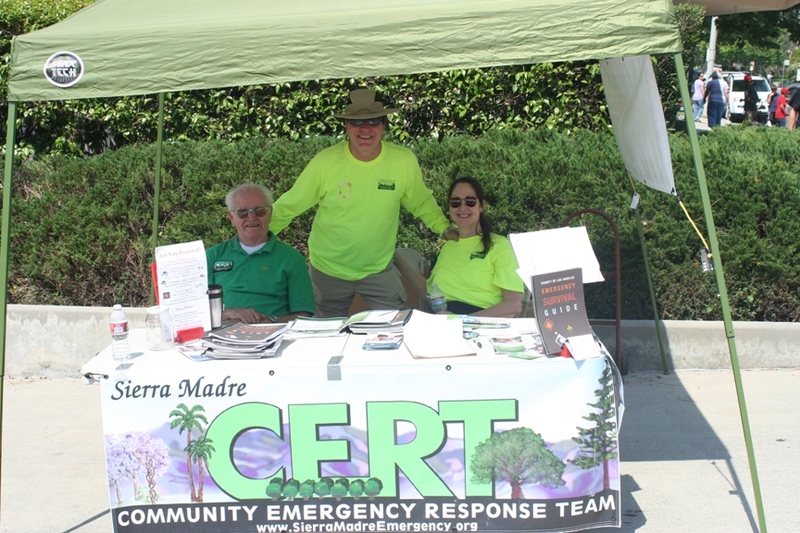 Sierra Madre CERT meetings are held on the fourth Thursday of the month at 7:00pm, at the Hart Park House located in Memorial Park (next to Sierra Madre City Hall). Everyone is invited to join us. Each meeting starts off with a short training lesson. The Sierra Madre Emergency Organizations website is currently under development by Sierra Madre CERT. Stargate Portal (the original phpBB3 portal), is a fully integrated portal system for your phpBB3 board.